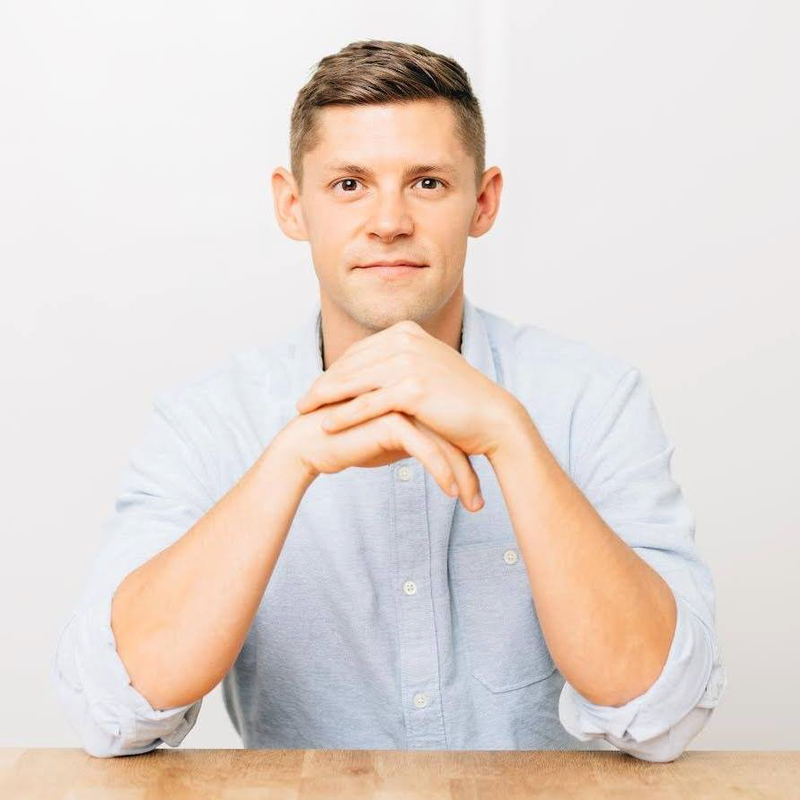 Dr. Anthony Gustin is a board-certified sports chiropractor, functional medicine practitioner, entrepreneur, podcast host, and founder of Perfect Keto. You may have seen it on a menu at a café or a tea shop. It has an exotic, foreign name that’s difficult to pronounce. Despite this (or perhaps because of this), this tea has been exploding in popularity. From wrinkle reduction to cancer prevention, this tea seems to have it all. Introducing rooibos (pronounced roy-BOSS) tea. If you haven’t heard of it by now, you probably will soon because it’s quickly becoming a favorite among tea lovers worldwide. In other words, people are getting hooked. But what is rooibos tea, and is it really the next super-beverage? Or is it just a fad? As you’ll find out, this caffeine-free tea is more than just a sweet herbal tea — it can give your immune system a huge boost. And many of its claims can be backed by scientific evidence. Despite the name, rooibos isn’t a true tea — it’s an herbal infusion or tisane (pronounced ti-ZAHN). Rooibos tea, also known as red bush tea or red tea, is made using the leaves from the Aspalathus linearis. This plant is a bush grown only in the Cedarberg and neighboring mountains of the Western Cape Province of South Africa. The needle-like leaves of the rooibos are harvested and bruised to encourage oxidation. It is left to oxidize in the sun (or “ferment,” although no fermentation actually takes place) until it develops the characteristic deep, rich red color and sweet flavor. Most commercially available rooibos teas are made from these fermented leaves, although “green rooibos” is made from non-oxidized rooibos leaves. Because it does not undergo oxidation, green rooibos is said to have higher antioxidant content than red rooibos. Although South Africans have long considered rooibos tea the national drink, it wasn’t until the 1900s that rooibos started being cultivated on a large scale to be exported to countries worldwide. The U.S. also hardly imported any rooibos until the early 2000s, mainly due to the economic sanctions on South Africa. Since then, however, rooibos tea has enjoyed explosive popularity in the U.S.
What Does Rooibos Tea Taste Like? Some say it has a hint of vanilla, honey, or nut. Then there are those that say it has a fruity or even a flowery taste. Whichever way you want to describe it, part of the surge in popularity of fermented rooibos tea is likely due to its mild and slightly sweet taste. Many people get cravings for sweets while on the keto diet, and rooibos tea’s natural sweetness makes it an excellent substitute for a sugar cookie. On the other hand, green or unfermented rooibos has a grassier taste and is less sweet. Still, neither fermented nor unfermented rooibos has a bitter taste common to many other types of teas. So if you’ve been avoiding teas because of their bitter taste, you may want to give rooibos tea a chance. If you’re a tea lover, you’re probably familiar with all their health benefits, from cancer-fighting antioxidants to protection from ultraviolet rays. So now you may be wondering: If rooibos tea is not a “true tea,” does it provide the same benefits? In fact, the substantial health benefits are a big part of the reason why rooibos has enjoyed such a surge in popularity. Like other types of teas, rooibos tea has high levels of polyphenols, a class of chemical compounds that receives considerable attention from researchers for their health benefits. Of these, you’ve most likely heard of flavonoids. They’re responsible for giving your fruits and vegetables those luscious colors. Plus, flavonoids are one of the largest known nutrient families, encompassing over 6,000 members. But these remarkable phytonutrients don’t just make our foods more colorful. They have powerful antioxidative, anti-inflammatory, anti-mutagenic, and anti-carcinogenic properties that make them an indispensable part of supplements and medicines[*]. And rooibos tea is brimming with flavonoids, including one that only exists in the rooibos plant: aspalathin. As you’ll soon see, aspalathin and nothofagin could have significant health effects. There is a popular claim that rooibos tea has higher polyphenol and antioxidant content than green or black tea, but this is not true. In one 200 mL cup, rooibos tea can supply as much as 60 to 80 mg of polyphenols, depending on factors such as brewing time, quality grade, and amount of leaves used[*][*]. In contrast, the same amount of the average green tea contains approximately 140 mg of its most abundant polyphenol alone, epigallocatechin gallate (EGCG)[*]. However, the polyphenols in rooibos tea are different from the ones in green and black teas, so you shouldn’t judge their potential health benefits based solely on their total polyphenol content. When you hear the word “antioxidants,” the first thing that probably comes to mind is cancer prevention. Unfermented rooibos tea has considerably more flavonoids than the fermented version. And while the antioxidant content of rooibos tea might sound exciting, it’s important to remember that there isn’t much evidence of its benefits from human clinical trials. In other words, scientists aren’t sure yet if rooibos tea can help prevent cancer. And that may be because rooibos tea does not have a long-term effect on the blood antioxidant levels. One study showed that the peak antioxidant level was reached at just 1 hour post-consumption[*]. Furthermore, humans may not absorb aspalathin and nothofagin very well[*]. Aging is inevitable, but it is nevertheless distressing. It’s no surprise, then, that anti-aging is a multi-billion dollar industry[*]. You likely know the importance of wearing sunscreen. But why? It’s because aging, in some respects, is caused by the release of pro-oxidants like reactive oxygen species (ROS), a.k.a. free radicals. And many factors, such as smoking, ultraviolet radiation (UVR), hormonal imbalance, alcohol consumption, and psychological stress can generate these pro-oxidants. That’s why herbal flavonoids like Gingko biloba and soybean extracts are particularly popular — they offer natural, promising, and efficient antioxidant properties suitable for cosmetics. But natural skincare is a fast-moving industry, always on the lookout for the next big thing. In one clinical study, 20 healthy women between the ages of 36 and 52 were asked to apply commercial anti-wrinkle gels containing a mixture of tea (Camellia sinensis) and rooibos and soybean (Glycin soja). Researchers noted that the mixture was effective on wrinkle reduction after use for 28 days[*]. Rooibos may be effective at reducing wrinkles, but that’s not all it can do for our appearance. It might also help you grow more hair. In one study, men with male-pattern baldness used a topical blend of licochalcone, shiso, green (unfermented) rooibos, and saw palmetto. They saw an increase in hair density, number of active hair follicles, and hair growth rates comparable to Rogaine® Extra Strength[*]. Skincare isn’t always about looking young. It’s also about keeping your skin healthy. And rooibos might be able to help with wound healing. But the type of rooibos extract you use — fermented or unfermented — can differ based on context. While both types are effective at decreasing ROS and reducing cell death in wounds, only fermented rooibos showed significant proinflammatory activity. Your body must go through all four phases within the proper time frame. Unfortunately, there are factors that can delay the inflammatory phase, such as diabetes. If the early proinflammatory response is delayed, it can affect later phases of wound healing[*]. Still, hyper-inflammation can also negatively impact wound healing by generating ROS, which undoubtedly contributes to the damage and death of nearby cells. In the cases of such chronic wounds, green rooibos is better suited for treatment due to its higher phenolic content, especially aspalathin. The protective capacity of rooibos allows cells to develop greater resistance against oxidative stress, which can help with wound healing[*]. Despite being rather small in size, your brain demands at least 20% of your body’s oxygen supply[*]. This also means that your brain has the potential to generate a large amount of ROS in the process of producing ATP, your cells’ energy source. And unfortunately, research shows that the brain is especially susceptible to damage from ROS, possibly because it lacks the protective antioxidant mechanisms to detoxify ROS[*]. To prevent such diseases, scientists have been studying dietary antioxidants, such as vitamin C, glutathione, and polyphenols in the hopes that they might be able to help limit the excessive amount of ROS. Among polyphenols, flavonoids like aspalathin have been receiving special interest for treating neurodegenerative diseases. The brain is a difficult organ to target with drugs because of a protective barrier called the blood-brain barrier. Just like a security screening at an airport, the blood-brain barrier is extremely selective about the substances it allows to pass through. But since flavonoids can cross this barrier, it means that they can directly access the brain to slow disease progression[*]. And this may be good news for Alzheimer’s disease research. When designing drugs, researchers have to know how the drug will interact with the target molecule, usually a protein. In one study of 39 flavonoids evaluated, aspalathin was one of seven that had the best results for Alzheimer’s disease with no toxicity risks and high absorption rates[*]. Antioxidants aren’t just for cancer prevention — they can be good for your heart, too. That’s because inflammation is thought to be a significant contributor to heart disease. And ROS play an important role in inflammatory disorders[*]. The benefits of flavonoids for cardiovascular diseases is not new[*]. But how does rooibos tea fare against some of its more well-known cousins? The heart health benefits of rooibos tea is one of the more extensively studied ones. This means that there is good scientific evidence that rooibos tea may help reduce the risk of cardiovascular diseases. One way it does so is by inhibiting the angiotensin-converting enzyme (ACE). ACE is involved in the production of a protein that can raise blood pressure, which is why you or a loved one may have been prescribed an ACE inhibitor like lisinopril to treat high blood pressure. A study of 17 health volunteers showed significant ACE inhibition 30 to 60 minutes after drinking rooibos tea. No decrease in blood pressure was observed[*]. However, this was not a long-term study. A previous study using black tea showed a reduction in blood pressure after a week[*]. And it doesn’t stop there. Another study showed that drinking six cups of rooibos tea daily can lower levels of “bad” cholesterol and other fats in your blood while increasing the “good” cholesterol[*]. This could have been due to the significant increase in glutathione, one of your body’s most important antioxidants[*]. Caffeine in beverages like tea and coffee can support weight loss,[*] but caffeine dependence and overdose are becoming more and more common[*]. If you’re looking to reduce caffeine consumption or avoid it altogether, rooibos tea is an excellent choice. And unlike green and black teas, rooibos tea is naturally caffeine-free, which means it doesn’t lose any of its antioxidant content during the decaffeination process[*]. Rooibos tea has low levels of tannin (about 3.2% to 4.4%), an antioxidant responsible for the astringent and bitter taste associated with many teas[*]. Despite its cancer-fighting and cardiovascular benefits, tannins can reduce the absorption of iron[*]. While this doesn’t necessarily mean that rooibos tea won’t block iron absorption, its effects appear to be less significant compared to that of green and black teas[*]. The prevalence of type 2 diabetes is increasing worldwide, leading to a growing interest in natural prevention methods and remedies for the disease. Normally, your blood glucose (sugar) levels increase after eating. Sensing this, your pancreas releases a hormone called insulin, which moves the glucose to tissues so that it can be used for energy in the future. This keeps the blood glucose level in a normal range. However, in some people, cells don’t respond well to insulin. The cells can’t take up glucose easily, which forces the pancreas to produce more and more insulin to help control the blood glucose level. Over time, this insulin resistance develops into type 2 diabetes. It may not surprise you to know that oxidative stress and chronic inflammation also play a role in the development of type 2 diabetes. But scientists believe that rooibos tea — with its mineral and polyphenol content — may help. Multiple studies have shown that aspalathin increased glucose uptake by muscle tissues and reduced blood sugar levels between meals[*][*][*]. Other studies showed that aspalathin and orientin alleviated glucose-induced inflammation of blood vessels, a key contributing factor to fat buildup in blood vessels and a major diabetes complication[*][*]. Luteolin, another flavonoid found in rooibos tea, was shown to protect against diabetes-associated cognitive decline[*]. All of these studies and more demonstrate unquestionable evidence that rooibos tea has antidiabetic properties. However, diabetes is a complex disease, so more human studies need to be done to determine the effects of rooibos tea on the prevention, treatment, and maintenance of diabetes. If you’re trying to lose weight while being on the keto diet, rooibos tea is a great beverage that can support your goals. Not only is it low in calories and naturally sweet, the polyphenols in rooibos tea have anti-obesity properties. They have also been shown to increase energy production and regulate energy balance[*]. Rooibos tea is generally considered safe. And although there are no official dosage recommendations, study participants have drunk up to 6 cups of rooibos tea daily without side effects. If you are thinking about purchasing some rooibos tea, there are some side effects you should be aware of. There have been at least two reports of possible liver toxicity from patients who drank rooibos on a regular basis. One patient experienced increased liver enzymes, while the other experienced acute hepatitis and liver failure[*][*]. These cases are interesting because rooibos tea was shown to have protective effects on the liver in animal studies. And it’s important to note that the two patients had a complex medical history prior to experiencing the liver toxicity. Therefore, you should talk to your doctor prior to consuming large amounts of rooibos tea, especially if you have a pre-existing condition. There haven’t been any studies examining the safety of rooibos tea for pregnancy or breastfeeding. Therefore, it may be best for pregnant or lactating women to avoid rooibos tea. Iron is an essential element that you need to produce hemoglobin, a protein in red blood cells that helps distribute oxygen from the lungs to other tissues in your body. While rooibos tea has lower tannin levels than green and black teas, it could still influence iron absorption. If you have iron deficiency, consult your doctor before drinking rooibos tea. Rooibos tea has been shown to possess estrogenic activity in lab tests, meaning it can increase your production of estrogen[*]. For this reason, rooibos tea is not recommended for people who are highly sensitive to estrogen or are at a higher risk of developing hormone-related cancers. You can enjoy rooibos tea hot or cold. And since it’s naturally sweet, you won’t have to worry about adding things like honey or sugar, which can kick you out of ketosis. If you’re using a tea bag, simply follow the manufacturer’s instructions. If you’re using loose tea leaves, use 1 to 1 ½ teaspoons of tea leaves for every 8 ounces of boiling water. Let the tea steep for 5 to 6 minutes. Even if you decide to let it steep for longer, it will not make the taste bitter. You may be wary of all the health food trends out there, and for good reason — many of the benefits can’t be verified by strong scientific research. Indeed, rooibos tea isn’t entirely free from such outrageous claims, but as you’ve seen so far, there is enough evidence that rooibos tea can pack a powerful punch. All things considered, rooibos tea is a great addition to your keto diet and could help you on your journey to optimal health. So, is rooibos tea the new super-beverage in town? We’ll just have to see.